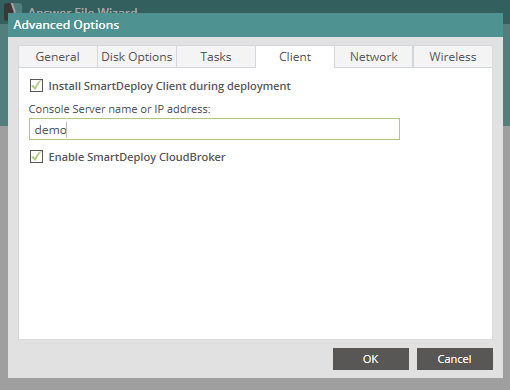 The latest version, SmartDeploy 2.0.3040, is now available to download and install. It is packed with useful features to offer even more flexibility and efficiently in many scenarios including managing departments or teams that require specific software, keeping small applications up to date without having to update your entire image, and replacing a user’s machine whether they’re sitting next to you or thousands of miles away. NEW FEATURE Combine your golden image with application packs: There are instances when you may not want to include every application in your image – like smaller applications that are constantly being updated or applications that are specific to one group of employees, a computer lab, or a department. 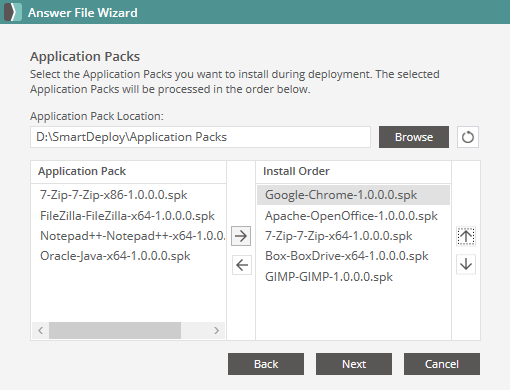 This new feature allows you to continue to maintain a single golden image for your organization and combine it with individual applications or scripts as needed for certain users or departments by creating multiple answer files that will automatically install the applications you specify at deployment time. These new features will save time and effort for creating and maintaining images for your users. Learn more in this quick how-to video. 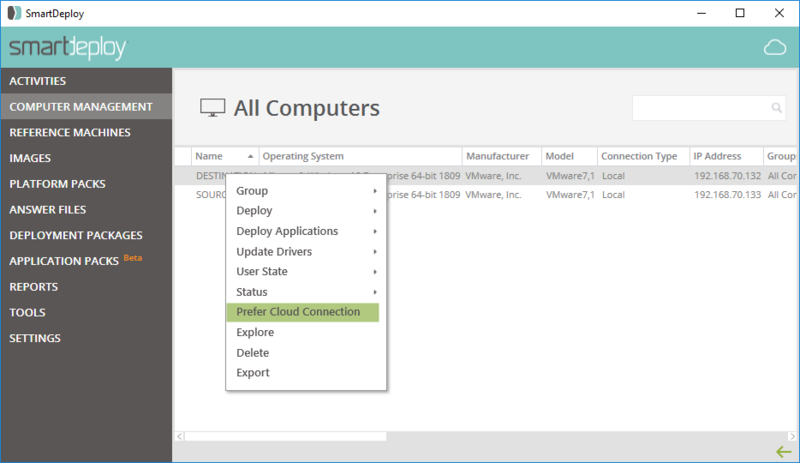 NEW FEATURE User Data Migration to a different computer (beta): There are many scenarios when you’ll need to completely replace a user’s device including hardware upgrades and Windows migrations. 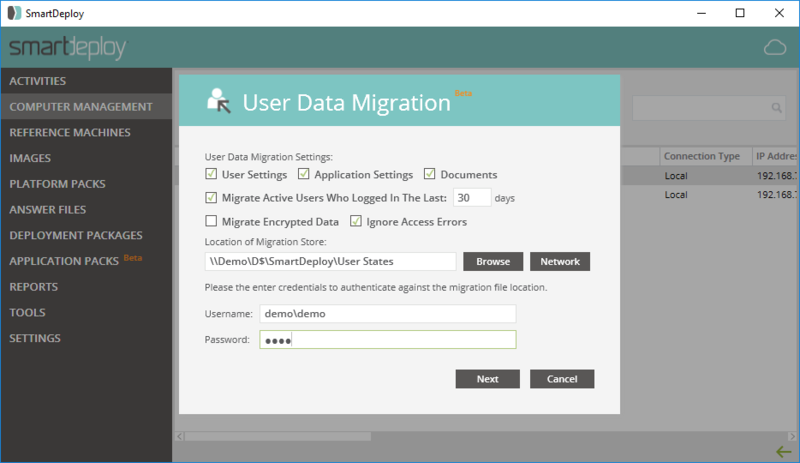 The User Data Migration feature allows you to capture a point in time user state to include their data and settings and restore it to any machine in your environment without even leaving your desk. A time saver for IT while also getting your user back to productivity quickly. From the Admin Console, capture a point in time user state to include their data and settings. Once the data is captured, easily deploy that back to the same or a different device. More cloud control: In instances where you know that your internet connection will perform better than a local connection, such as a VPN or WAN connection, you’ll want to adjust endpoint settings to “Prefer Cloud Connection” within Computer Management. This setting was added based on customer requests as more customers are utilizing their Dropbox, Google Drive, and Microsoft OneDrive cloud storage to manage remote users. Easier for first-time users: We’ve made usability improvements for first-time users like “completed” notifications as you make progress through the setup steps. Also check out youtube.com/smartdeploy for quick start tips and how-to videos. BEST PRACTICE Install the SmartDeploy client: Whether you’re managing 10 or 10,000 computers, we always recommend installing the SmartDeploy client on every endpoint so that you can take advantage of capabilities like Application Deployment, remote management, automatic driver updates, and reporting. Many of the features included in this release and forecasted on our product roadmap require the client to be installed. The install is very small and there isn’t any discernible performance impact for endpoints having the client installed. Specify within your answer file to include the client during reimaging by default. And, follow this video guide to install using Group Policy. Not a SmartDeploy customer yet? Request a customized demo with one of our product specialists for the full tour. Or, take yourself on a self-guided video tour. Then, start your test drive with 15-day full access to SmartDeploy. As always, please share your feedback and feature requests. Input from users, like you, is invaluable and helps us continually provide updates to ensure the best user experience possible. Let us know how we’re doing and send feature requests to feedback@smartdeploy.com. As General Manager at SmartDeploy, Spencer Dunford applies over 12 years of creative IT wisdom to find solutions that solve the most complex and unique challenges for customers. When he isn’t leading our stellar sales and support team, Spencer can be found exploring the mountains on skis or two wheels with his family, and finishing his day behind the grill in his never-ending pursuit of the perfect steak.